You Are Here: Home > What’s so Special about the Mercedes-Benz C-Class Performance? Luxury sedans are typically known for their style and convenience, but the 2017 Mercedes-Benz C-Class brings more to the table with the variety of performance features. With improved suspension and incredible handling, this model delivers something new to the Staten Island roads, and everyone will be sure to take notice. It’s always nice to find a vehicle that lets you drive through Edison the way you want, and the Mercedes-Benz C-Class does that thanks to the DYNAMIC SELECT. With the touch of a button, you can create the driving style you like, such as Comfort, ECO, Sport+, and more. To make this even more special, you can configure your own personal driving style so you get the performance and handling that makes sense for you. The Mercedes-Benz C-Class comes with 4MATIC®®, an all-wheel drive that constantly sends torque to the wheels for an unforgettable driving experience. In addition, this feature improves the vehicle’s fuel efficiency and handling, which are two benefits that all Staten Island drivers can appreciate. This new model offers an innovative suspension known as AIRMATIC®®, so you can enjoy a safe and reliable ride while still moving seamlessly through the twists and turns. Throw in the 3-mode damping, and you’ll have performance features you can write home about. When it comes to talking about performance, knowing what type of power is under the hood is important. This new model comes with an impressive turbo-4 engine that delivers 241 hp. In addition, there are three driving modes that include AMG® bitturbo power, which helps deliver an impressive stance on the New Brunswick roads. Finally, the plug-in hybrid models ensure that all C-Class models stand out from the crowd. 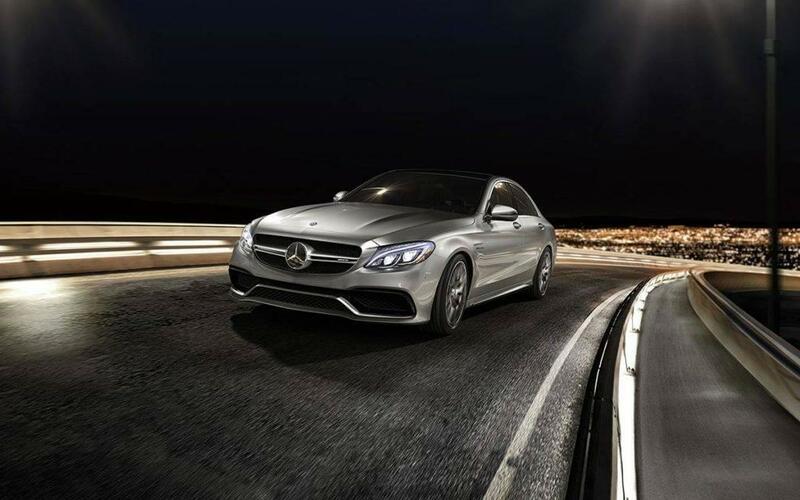 The 2017 Mercedes-Benz C-Class delivers performance like no other luxury sedan on the road. When you want to check out these performance features yourself, choose Ray Catena of Edison at 910 US-1 in Edison, NJ. We have a nice selection of models to choose from, so contact us today at 732-549-6600 to learn more or to start an application.